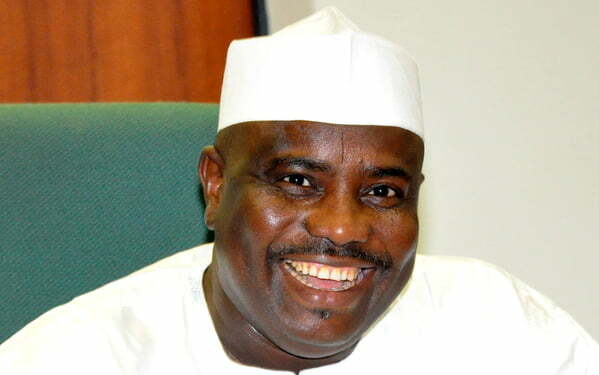 Tambuwal won with a slim margin, after collation of results from 22 Local Governments Areas (LGAs), where supplementary election took place on Saturday. Fatima Mukhtar, Returning Officer for the election, announced this at the INEC collation center in the state in the state on Sunday. Tambuwal was leading with 489, 558 votes on March 9 when the governorship election was declared inconclusive, while Ahmad Aliyu of the All Progressives Congress, APC came behind with 486,145 votes. He had led with 3,413 votes with cancellations in 136 polling units across 22 LGAs, which had 75,403 registered voters. For Kebbe LGA, the last deciding factor for the elections, PDP secured 5,457, while APC polled 7,173 votes. Official results of 21 LGAs announced so far at the State collation centre, located at the Sultan Maccido Institutes, indicates that Tambuwal was leading his counterpart, Aliyu Ahmad of the APC, with a margin of 161 votes. However, at the final count, the APC polled 511,661 votes, while the PDP secured 512,002 votes, respectively.